Compare.com can help you find auto insurance in Illinois. Below are resources for Illinois residents and drivers on insurance, local laws, discounts, and other valuable insurance information. Ready to look at some insurance quotes? Start here. 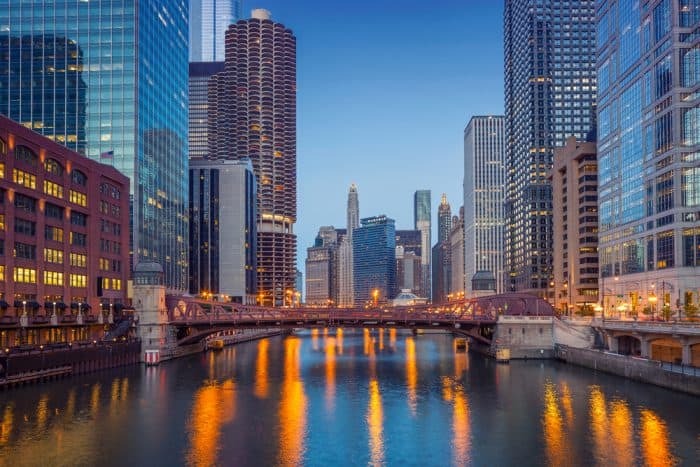 To obtain an Illinois driver’s license, applicants must present required identification documents, have your photo taken, surrender out-of-state licenses, and pay a fee. Finally, you must pass the road knowledge and driving tests. 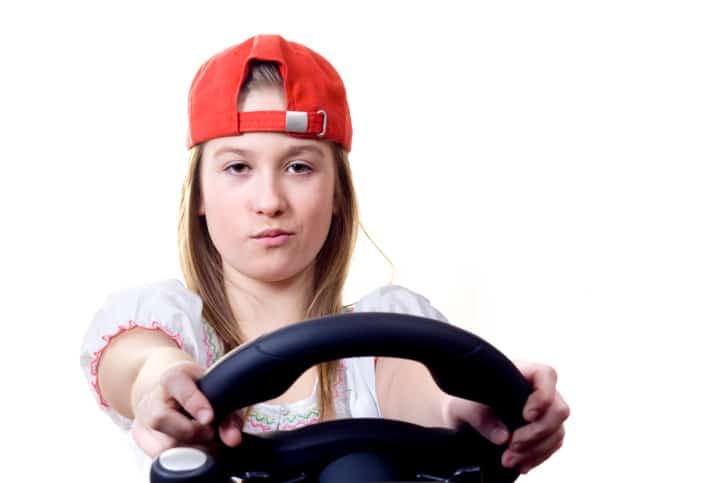 Drivers under the age of 18 have a system of graduated steps on their way to full licensure. At 15, the minor can acquire an instruction permit with parental permission and verification of enrollment in a driver’s education course. After nine months, at least 50 behind-the-wheel hours logged, and turning 16, the driver is eligible for an initial license. Beyond the standard driver’s license, Illinois also offers commercial, hazardous materials, and motorcycle licenses. You can also obtain a Restricted Local License, which limits drivers to a small geographic area – such as the grocery store, bank, and post office only. Learn more about Illinois driver’s licenses at the Illinois Secretary of State Website. Illinois drivers may be pulled over for not wearing a seatbelt, even if they aren’t doing anything else wrong. The fine is only $25 (plus court costs). Any passengers in the vehicle older than 15 are responsible for his own seatbelt – a driver won’t get a ticket if a passenger is unbelted. Unlike many other states, Illinois police officers may not initiate a stop based on seatbelt non-use and then obtain probable cause to search the car. If you’re in Illinois and you got pulled over, you might have been driving distracted. Their distracted driving laws prohibit using any form of an electronic communications device while you’re driving. It also includes sending or reading any electronic message on those devices. Furthermore, if you cause serious injury or death of another person, you may be convicted of “aggravated use of an electronic communication device.” You won’t be breaking any laws if you’re just programming your GPS, using a hands-free device, or making a call to an emergency service provider. If you do get a ticket for breaking these laws, it’ll cost $75 for the first offense, $100 for the second, $125 for the third, and $150 for a fourth or subsequent violation. If you are convicted of aggravated use of an electronic communications device, it is a misdemeanor if you caused serious injury and a felony if you caused a fatal accident. If you’re suing someone for an accident in Illinois, they will use a modified comparative negligence standard. This means that if the other party was 50% or more at fault, you can recover for damages. The amount you can recover will be in proportion to the amount of fault the court attributes to the defendant, but if you were more than 51% at fault, you can’t recover anything. There were 281,788 motor vehicle crashes on Illinois roadways in 2011. Of those crashes, 835 were fatal; 918 people died. Just under half of the fatal crashes occurred during daylight hours. 38.1 percent of all fatally injured drivers tested had a blood alcohol content above the legal limit. 18,037 Illinois crashes involved deer. Still confused about the Illinois mandatory insurance requirements? The Illinois Secretary of State’s website has all the information you need. The Illinois Auto Insurance Plan Association may be able to help you out if you’re been rejected by at least two insurance companies due to a spotty driving record. Find a local Driver’s Services facility online at the Cyber Drive Illinois website. Better Business Bureau websites for Chicago and Central Illinois allow consumers to file a report if they’re having trouble with their insurance company. Mitsubishi Motors’ only North American passenger car assembly plant is found on Normal, Illinois. The best-known racetrack in Illinois may be the Chicagoland Speedway, home to the Geico 400. Famous Illinois drivers include Danica Patrick, Tony Bettenhausen, and Fred Lorenzen.